The Apartment Association of North Carolina was very active in the election this year with our AANC PAC which performed very well in the election overall with 24 of the 30 recipients of AANC PAC support winning their reelection, including several champions of our industry. The legislative leaders supported by AANC PAC, included the Speaker of the House, President Pro Tem of the Senate and the Chairs of key committees in each chamber, are widely expected to retain these positions in the 2019-2020 session. The six members who received our support who were not re-elected faced very tough races made harder to win by redistricting and county-specific issues and waves. For example, Republican candidates lost all but two legislative races in Wake and Mecklenburg counties combined, with Democrats winning 28. Sen. Michael Lee of New Hanover County lost a very close re-election - he trailed by just 36 votes out of nearly 85,000 cast, but conceded the race once the lead grew after the absentee and provisional ballots were tallied. Sen. Trudy Wade of Guilford County also lost a very close election which was partly due to new re-districting lines. Reps. Jonathan Jordan of Ashe & Watauga Counties, John Bradford and Bill Brawley of Mecklenburg County, and Chris Malone of Wake County also lost their reelection campaigns. All of the legislators above have been consistently strong champions for AANC and our issues and will certainly be missed next session. For example, Rep. Bill Brawley sponsored our Inspection Bill, Rep. Jonathan Jordan sponsored our Private Process Server Bill, Rep. Bradford signed onto all of our legislative priorities and they will be sorely missed by our members. The irony of the election is that many Republicans who lost their re-election bids were some of the hardest working and most effective legislators. Many of them were moderate and were able to work on both sides of the aisle to find practical solutions to problems – just the kind of legislators that we look for to assist us on the issues faced by the members of the Apartment Association. NC Senate: Five incumbent Republican members of the NC Senate were defeated, with Democrats successfully breaking the GOP’s supermajority. Republicans will hold a 29-21 majority in the 2019-2020 session but will not have the super majority they need to over-ride any vetoes by the Governor. Incumbent Sens. Michael Lee(New Hanover), Tamara Barringer(Wake), Wesley Meredith(Cumberland), Trudy Wade(Guilford) and Jeff Tarte(Mecklenburg) lost their bids for re-election. NC House: Two incumbent Democrat and 9 incumbent Republican members of the NC House were defeated, with Democrats successfully breaking the GOP’s supermajority in that chamber as well. Republicans will hold a 65-55 majority in the 2019-2020 session. Incumbent Democrats Bobbie Richardson(Franklin) and George Graham(Craven), along with Republicans Chris Malone(Wake), Nelson Dollar(Wake), John Adcock(Wake), John Bradford(Mecklenburg), Andy Dulin(Mecklenburg), Scott Stone(Mecklenburg), Jonathan Jordan(Ashe), Bill Brawley(Mecklenburg) and Mike Clampitt(Haywood) lost their bid for re-election. It is notable that of the 13 total incumbent Republicans who lost, 8 represented districts in Wake or Mecklenburg Counties. Sens. John Alexander (Wake) and Dan Bishop (Mecklenburg) will be the only Republican legislators in the delegations of our state’s two most populous counties. NC Congressional: Republicans successfully defended their 10-3 majority, with Reps. George Holding and Tedd Budd holding off well-funded challengers and Mark Harris (who defeated incumbent Rep. Robert Pittenger in a GOP primary) besting Democrat Dan McCready in a closely-watched race. NC Judicial: Democrat Anita Earls defeated incumbent Republican Justice Barbara Jackson, increasing the Democratic majority on the State Supreme Court to 5-2. The Democrats also picked up three seats on the Court of Appeals, although Republicans still maintain a majority. Constitutional Amendments: Of the 6 proposed Constitutional amendments, 4 were approved and 2 were rejected by voters. Approved: Require Photo ID to Vote, Maximum Income Tax Rate of 7%, Protect Right to Hunt and Fish, and Strengthen Victim’s Rights. Special Session (November 27th): As we write this legislative update the General Assembly (2017-2018) is in a special session which is considered a lame duck session as legislators who lost their seats are still serving until the beginning of the next session. So far legislators are taking up the details regarding requiring photo ID to vote (which was just approved by voters), providing more hurricane relief funding, changing some economic development laws to allow them to provide more incentives to businesses and making some appointments to various regulatory committees. There are very few limitations on what issues can be taken up by the legislature during this session so everyone is on high alert until they leave town. 2019-2020 Legislative Session Preview: Although the Republicans still have majorities in both the House and the Senate, there will clearly be a shift in how legislation is crafted. The Governor and the Democrats will have a lot more influence in legislation and the budget since the Governor can veto bills and the budget and the Republicans will not be able to over-ride those vetoes without help from Democrats. There should be more compromise and discussion on policy decisions but we will see how the session unfolds and how the Republicans react to the stronger minority party! Debt Collection/Summary Ejectment Costs. We will continue to look at ways legislation and/or regulations can assist in clarifying, or if needed can change, the law to allow members to collect court costs and other out of pocket expenses when filing summary ejectments. 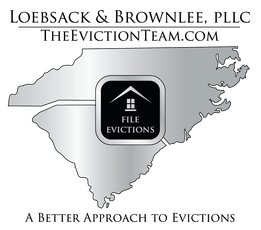 This may include an overhaul to NC General Statute 42-46 or other changes in the landlord/tenant law. Private Process Server. We will pursue legislation that allows private process servers to serve summary ejectment postings. We have moved this legislation through the House the last two sessions but have been stymied in the Senate. With some of the changes in the Senate we believe we have a better chance to move the legislation there and use the study results to assist us. Liability Exemption. We will pursue legislation that provides a liability exemption for landlords who rent to those with a prior criminal record. We anticipate working on this issue with the Justice Center who has not opposed our language on this issue, but we may use this legislation to include other negotiations. We will also attempt to include in this legislation an amendment to the deceased tenant law to provide a liability exemption for landlords who provide personal property to a deceased tenants family. Regulation of Emotional Support Animals. We will seek to find some reasonable ground regarding emotional support animals in Apartments. What a Year for the AANC PAC! As 2018 draws to a close, I want to take this opportunity to thank all of those that support our industry by contributing to the AANC PAC. From the coast to the mountains of North Carolina, the AANC membership committed their time and resources to further our legislative cause, thus protecting our industry and its residents. The PAC continued with another record-breaking year in both fundraising and campaign dollars contributed. With the hard work of our membership our industry overcame many legislative obstacles this year. However, the work is not over. While the November elections may be behind us our fundraising efforts and legislative challenges never end. We must remain ever present in the electoral process, public policy, and mindful of every legislative need or issue that may help or hurt our collective interest. We accomplish this by building and maintaining relationships with lawmakers and supporting the AANC PAC. 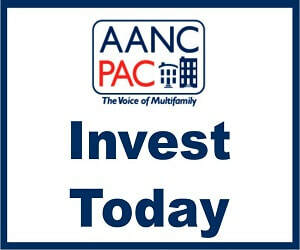 Now is the time to replensih the AANC PAC's financial coffers. If you have not already contributed to the PAC, please do so now. If you have already contributed, please consider contributing again. If you want to get involved or have any interest in volunteering, please email me at jtee@paragonservicesgroup.com. Thank ou again and I hope the holidays treat you well! 2019 Sponsorship & Advertising Opportunities - Available Here! AANC Hall of Fame Information & Nominations - Here! AANC News Articles - Here! We have a number of people we want to thank and make sure you are aware of the many people that have helped during this effort. Keli Lynch-Wright with Hatching Hope for reaching out to AANC and offering to help. Not only has Keli worked tirelessly behind the scenes, she also drove from Alabama to help disperse relief aid. Matt Baratta with Tribute Properties has been instrumental in helping communicate with members. 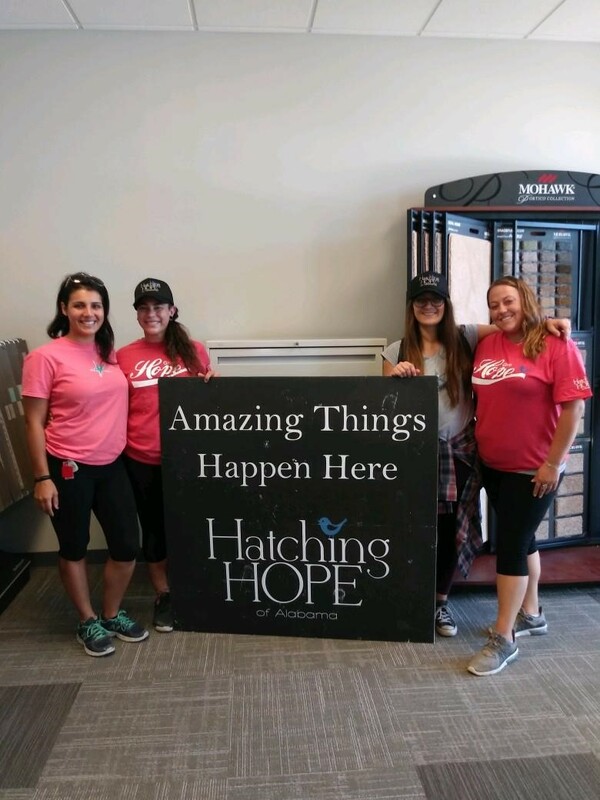 Jesse Mcarthur, Christa Prescott, and the Redi Carpet team donated space in their Wilmington warehouse for Hatching Hope. 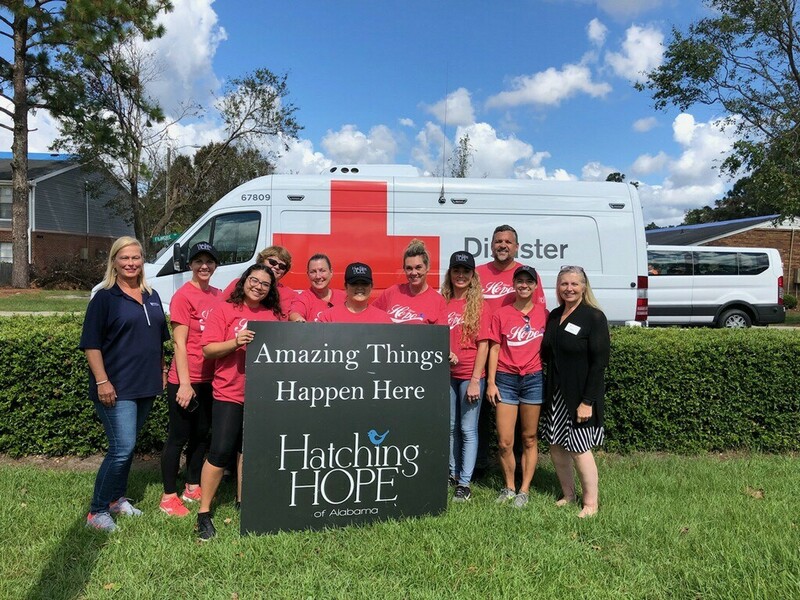 Chris Williams and Stephanie Reeser with RentPath for helping find a place for the Hatching Hope team to stay while they were in Wilmington. 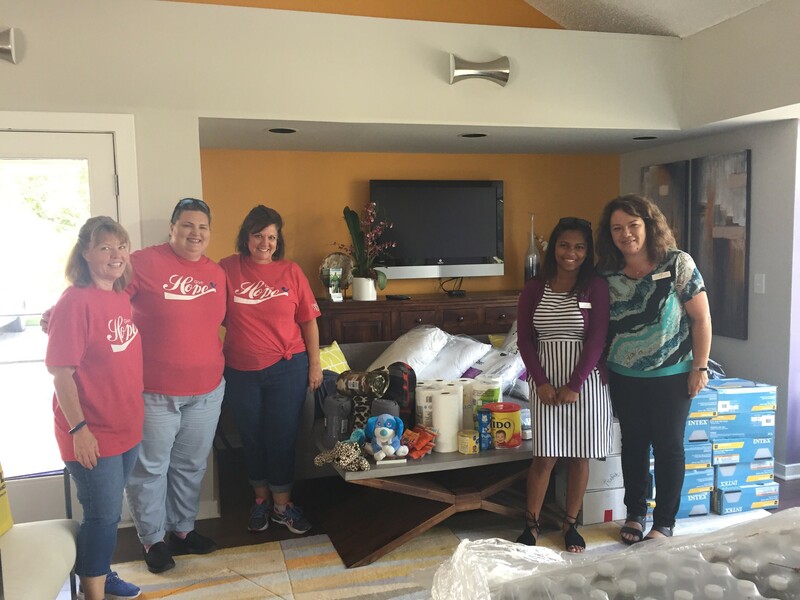 The volunteers who took their time to to help disperse the relief aid items to those in need in Wilmington including those from Blue Ridge Companies, Brookside Properties, Inc., Hatching Hope, HKS Cleaning, LLC, Pine Valley Construction, Redi Carpet, RentPath, Sherwin Williams, and AANC. And, thank all of you for donating financially, sharing communications, and sharing Hatching Hope's social media posts with your networks. It's not too late - there is still time to help those affected by Hurricane Florence. While we were in Wilmington, we were told by the managers we spoke to, housing is very limited. If you have a community with availability in the Wilmington area, please email kim@aanconline.org and we will get this information to the Wilmington Apartment Association. 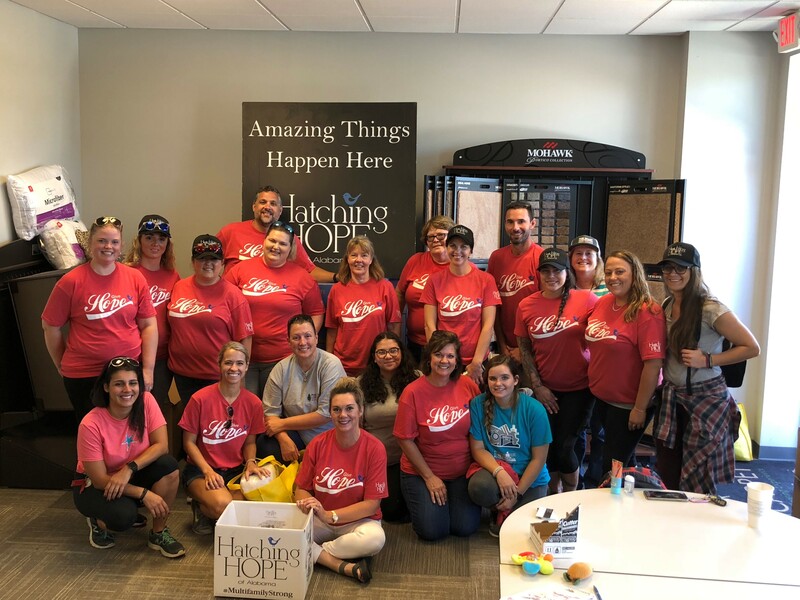 Donate: We are still accepting monetary donations through Hatching Hope. Collect: If you have items or would like to hold a collection, we will work with you to help get the items down to Wilmington. Some of the most requested items include: cleaning supplies, trash bags, non-perishable food, bottled water, linens, towels, air mattresses, pillows, etc. Please email kim@aanconline.org if you would like to learn more or would like to hold a collection drive. 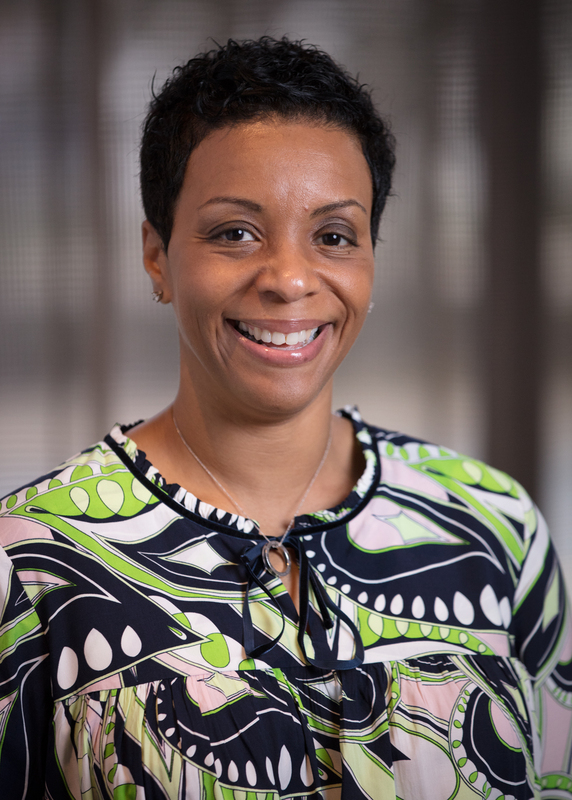 The Greater Charlotte Apartment Association (“GCAA”) has named Kim S. Graham as its new executive director. 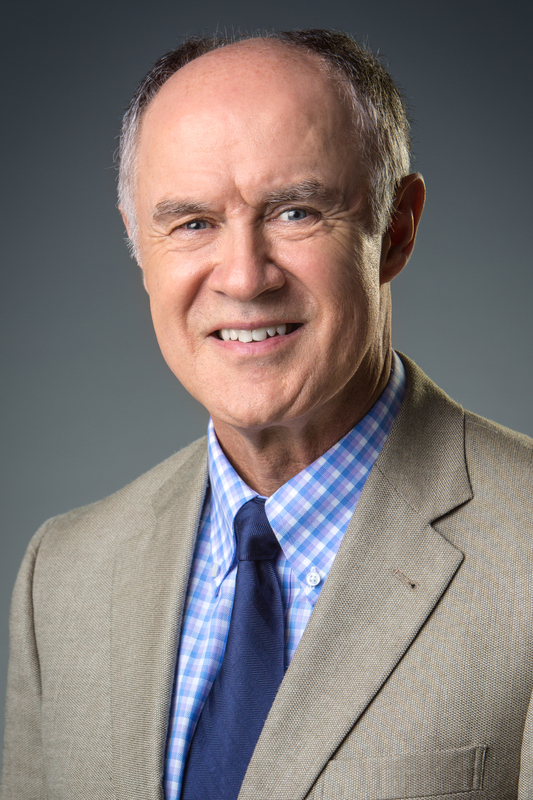 Graham most recently served as senior vice president of outreach and fund development with The Housing Partnership, a Charlotte-based housing nonprofit corporation. She will assume her duties on December 1, replacing Ken Szymanski, who will retire at the end of 2018 concluding an illustrious 32-year tenure as GCAA’s executive director. “I’m honored to have been selected by the board to lead this dynamic organization. I look forward to building on the foundation created by Ken, the professional staff, engaged board and members at the Greater Charlotte Apartment Association,” said Graham. During her time with The Housing Partnership, Graham doubled the organization’s grant revenue while implementing place-based programs to protect seniors from tax lien foreclosure and expanded access to resources for neighborhood improvement projects. Graham’s experience also includes stints with United Way of Central Carolinas as its public policy manager and with the NC Parent Teachers Association as a regional program manager. Prior to that, Graham worked in the private sector for national and mid-market public accounting firms. Graham holds a Bachelor of Arts degree in English from Johnson C. Smith University and a Master of Public Administration degree in urban management and policy from the University of North Carolina at Charlotte. “This is an exciting day for the Greater Charlotte Apartment Association. Kim has the consensus-building tools, insight and resolve to ensure that we grow and stay relevant. Her skills and demeanor are such a good fit for the GCAA,” said Szymanski. Ken Szymanski, AICP, Executive Director of the Greater Charlotte Apartment Association (GCAA), received one of the NAA’s highest honors, the NAA Lifetime Achievement Award, on Nov. 17 during the Assembly of Delegates meeting in Phoenix. A determined advocate for the apartment industry, throughout his career Szymanski has been respected for his expertise, keen sense of strategy and diplomacy, according to his peers. “With a mind for fairness, and the wisdom to compromise when appropriate, Ken has the distinctive ability to marry groups with disparate agendas to achieve reasonable change,” Mary Gwyn, Apartment Dynamics, High Point, N.C., says. Szymanski’s work affected countless state and local laws, regulations and codes favoring the rental housing industry concerning topics such as affordable housing, smoke detectors, drug eviction, worker’s compensation, rent control, domestic violence, swimming pool regulations, submetering and meth lab decontamination standards. Cumulatively, he helped save his members millions of dollars in expenses. He was twice named NAA Association Executive of the Year and is a Past President of the Association Executive Council. He also has served on eight NAA committees and acts as a mentor to countless association executives. Szymanski, whose masters’ degree thesis written in 1974 at Western Kentucky University was titled “The Dynamics of Neighborhood Racial Change,” worked with the GCAA Seminar Committee to create a fair housing course, which was sanctioned by the North Carolina Real Estate Commission and linked to NAA through the NAA Education Institute’s continuing education credit mechanism. 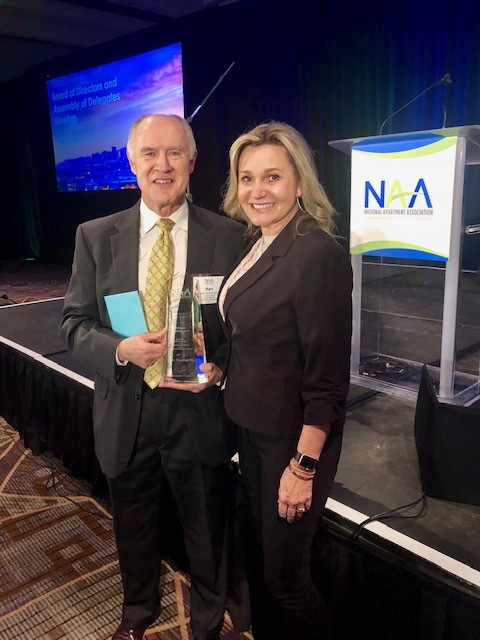 The NAA Lifetime Achievement Award recognizes the contributions of NAA supplier partners and association executives for their long-term history of exemplary national service and accomplishments to the National Apartment Association and the rental housing industry.